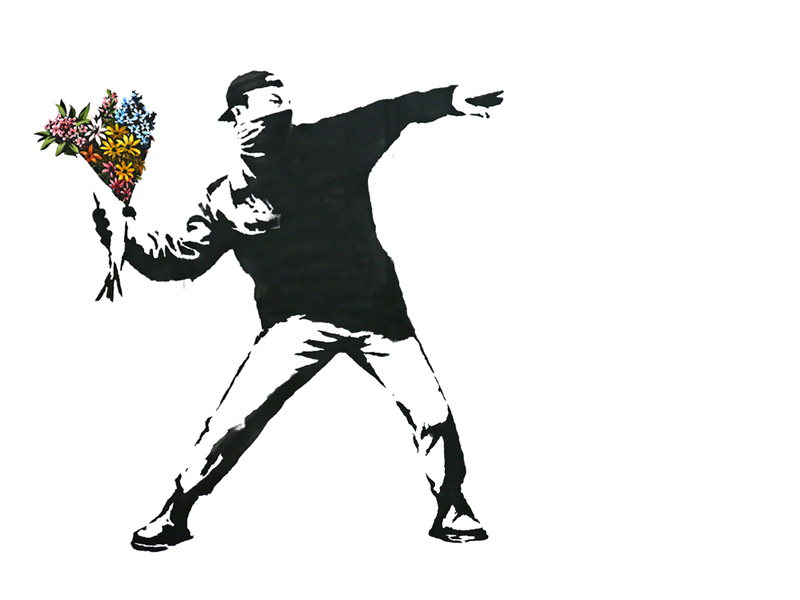 Banksy has been in the news quite a lot lately. Don’t know Banksy? I’m betting you actually do…at least as much as any of the rest of us know Banksy. S/he is the artist (The Atlantic postulates that Banksy is a woman) that travels the world painting societal commentary on walls that don’t belong to her/him. Some call this graffiti illegal and find it offensive. Some call it art. I belong to the latter group (duh). Banksy is a different kind of graffiti artist. Banksy speaks truths and asks questions that bring us together and tear us apart and that, if you ask me, is what art is. Picasso said art is a lie that makes us see truth, Klee said art does not reproduce the visible; rather, it makes visible. There are others who say that art is imitation, or beauty or vanity. While Picasso and Klee both get close to the truth, it is Tolstoy who defines art best in his 1896 book ‘What is Art’. He addresses the soul of art. Banksy has painted all over the world, including our very own San Francisco, and most recently spent a month painting New York. S/he made a short film about the experience, then HBO made a film about Banksy. The mystery of Banksy continues as Banksy manages somehow to maintain anonymity. The anonymity that likely began as self-preservation and protection from authority has become not only a costume but a trademark. If we find out who Banksy really is I wonder if we will be disappointed. Banksy, if you’re out there, I have a question. Why is your name pronounced ban-skee in the film? Have we been duped? Regardless, Banksy speaks to us, and not always politely. Banksy addresses us where we are, asks us the hard questions and forces us to see. I guess it’s up to us to decide if we will embrace one another and progress toward that better place of well-being that Tolstoy talks about. Will we work together to find answers?